A full year has passed since Infiniti showcased the Q60 Concept, and the production car has finally arrived at the 2016 Detroit Auto Show. Not surprisingly, the coupe is nearly identical to the what appeared to be a production-ready concept back in 2015, with only minor changes setting the two apart. Styling aside, the new car is more powerful and efficient than the model it replaces, while its interior is more in line with those seen in similarly sized coupes from BMW or Mercedes-Benz. Other important changes besides the revised engines in the drivetrain department are the absence of a manual gearbox and a drive-mode selector with no fewer than six settings. The new Q60 also comes with a lower center of gravity and a revised suspension system, both of which should make it more nimble than its predecessor and a better competitor to German coupes. The redesigned Q60 will go on sale late this summer for the 2017 model year. Until that happens, let’s have a closer look at the new coupe in the comprehensive review below. Updated 09/09/2016: Infiniti revealed prices for the most powerful version in the Q60 lineup, aka the Red Sport 400. 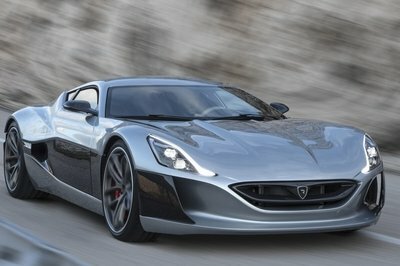 The company also revealed the car will begin arriving at Infiniti retailers nationwide this month. 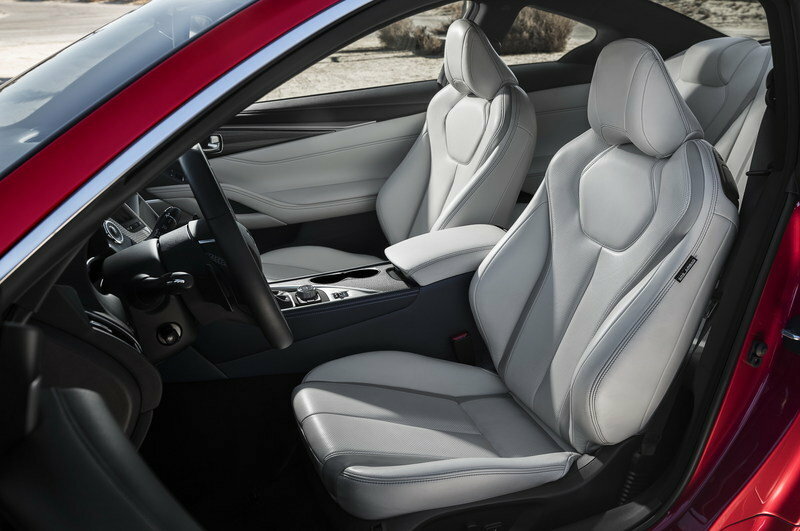 Continue reading to learn more about the 2017 Infiniti Q60 Coupe. As I previously mentioned, the production Q60 is nearly identical to the concept. This means it blends styling cues seen on both the Q80 Inspiration concept and the Q50 Eau Rouge prototype and the result is is pretty aggressive, but stylish as the same time. 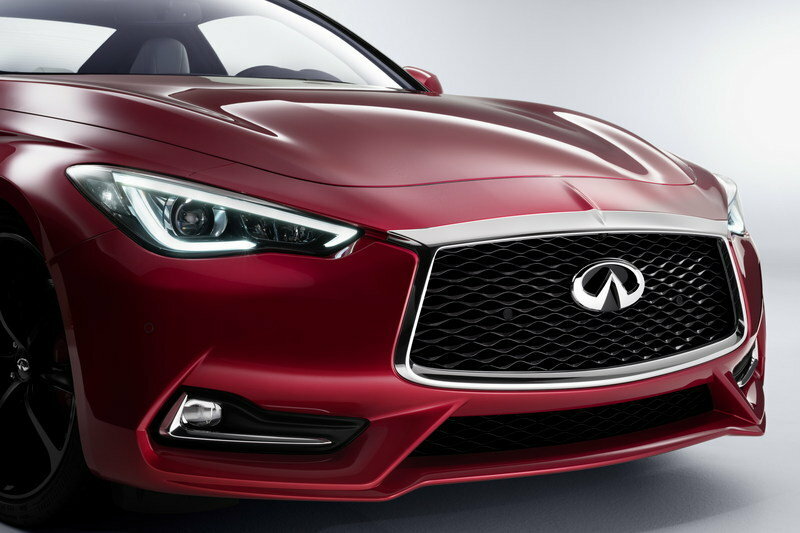 The front fascia is what makes the Q60 one of the sportiest looking coupes in its class, particularly because of the big engine grille and the squinty headlamps. The chrome grille surround give it a premium appearance, as do the chrome and black inserts around the foglamps. The latter are actually new compared to the concept, as Infiniti changes the whole apron on the production car, replacing the split bumper with a more familiar piece. The chrome grille surround give it a premium appearance, as do the chrome and black inserts around the foglamps. 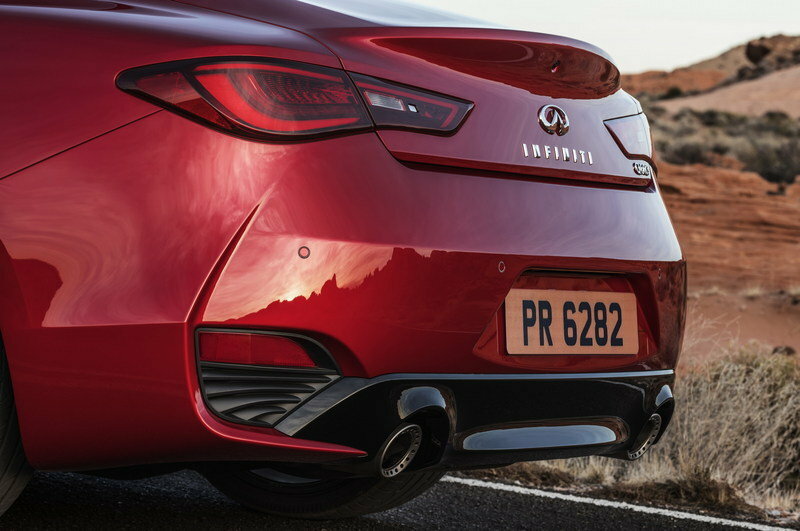 Around back, Infiniti kept both the sinusoid-shaped taillights and the protruding trunk-lid spoiler on the production car, which is very cool, as it makes the Q60 stand out, even when compared with fresh models such as the Mercedes-Benz C-Class Coupe. The only noticeable change is below the license plate, where the massive exhaust outlets of the concept have been replaced by round pipes. The apron is also different, but I think that the redesigned piece here makes the car look sportier that the concept. Compared to the outgoing model, the new Q60 is lower and wider. This not only makes it look better on the road, but it also provides a lower center of gravity. The coupe also rolls on new wheels and, for the first time, it can be ordered with 20-inch alloys. Overall, the redesigned Q60 looks powerful and elegant, and its daring styling will most definitely help it stand out no matter where it’s parked. While the exterior is heavily based on the concept’s, the interior is not as fancy. In fact, the cabin is nearly identical to the Q50’s, which makes sense given the two vehicles ride on the same platform and share many features. Compared to the concept, the production model lost the fancier A/C vents and door handles, the more refined controls on each side of the touchscreen, and the slightly updated lower section of the center stack. Infiniti also dropped the cleaner center console. The new wheel features a new center section, a chromed spoke at the bottom, and revised, better looking buttons. On the other hand, the steering wheel carried over unchanged from the concept, and that’s a massive improvement over the Q50’s. The new wheel features a new center section, a chromed spoke at the bottom, and revised, better looking buttons. It also looks a tad sportier, which goes well with the coupe’s more aggressive stance. The door panels are also new compared to the Q50, having received redesigned handles, new buttons, and new trim. Depending on the model, the Q50 comes with either aluminum and black wood or carbon-fiber. Buyers who choose the white or red leather will get silver glass-fiber inserts on the center console and door panels (like seen in the photo above). Other enhancements include better sound insulation and noise cancellation, an upgraded infotainment system, and a brand-new, 13-speaker Bose audio system on the options list. Engine-wise, the Q60 comes in three flavors. The base model gets a turbocharged, 2.0-liter, four-cylinder engine rated at 208 horsepower and 258 pound-feet of torque. 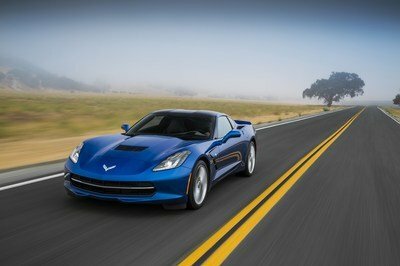 Next in line is a 3.0-liter V-6 pumping 300 horsepower and 295 pound-feet. Finally, the range-topping model gets the same V-6, but tweaked to deliver 400 horses and 350 pound-feet of twist. All three engines mate to a seven-speed automatic transmission. The previous six-speed manual is no longer available as an option. Want to row your own gears? Tough luck, kid! The base model gets a turbocharged, 2.0-liter, four-cylinder engine rated at 208 horsepower and 258 pound-feet of torque. Performance figures aren’t yet available for the coupe, but Infiniti did publish fuel economy estimates for each engine. 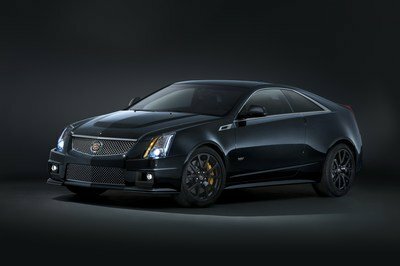 The four-banger is said to return up to 24 mpg combined, while the V-6 models are estimated at 23 mpg and 22 mpg, respectively. We’ll be back with more info as soon as Infiniti spills the beans. In the suspension department, the new Q60 gets revised shock absorbers, a new link layout, and new tuning for the shocks and bushings. Infiniti also offers a new Digital Dynamic Suspension with adaptive dampers and stiffer crossmembers. A Drive Mode Selector enables the driver to dial through six settings, including a "Customize" option for those not happy with the standard presets. The available all-wheel drive system, which provides enhanced stability for greater traction in low-grip conditions by distributing torque 50:50 between front and rear wheels in its default setting, should improve the overall experience in just about any weather condition. Infiniti has yet to release extensive info about the Q60’s safety systems, but it did mention that the coupe is equipped with active and passive features such as Around View Monitor, Intelligent Cruise Control with Distance Control Assist, Forward Emergency Braking with pedestrian detection, Lane Departure Prevention, Blind Spot Intervention, and Backup Collision Intervention. There will be six different versions of the Infiniti Q60 here in the U.S. Starting off the list is the Q60 2.0t, which commands $38,950. Going with the 2.0t Premium will set you back $41,300 while the 3.0t, with its turbocharged 3.0-liter V-6, will set you back $44,300. All three trim levels come standard with rear-wheel drive, but can be had with all-wheel drive for an extra $2,000 across the board. You’ll also get hit for taxes, license, and a $905 destination fee. Pricing for the Red Sport 400 starts from $51,300 with rear-wheel drive, while the AWD version checks in at $53,300. In order to make a name for itself, the new Q60 will have to take on the BMW 4 Series. Arguably the most popular sports coupe in the compact segment, the 4 Series can be had with a variety of engines, starting with a base 2.0-liter four-banger rated at 240 horsepower and 252 pound-feet of torque. 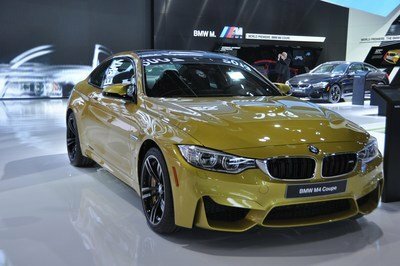 There’s also the 435i’s 3.0-liter inline-six with 300 horsepower and 300 pound-feet, and the range-topping M4, also using a 3.0-liter inline-six, but tweaked to generate 425 horses and 406 pound-feet. Pricing for the 4 Series starts from $41,650. 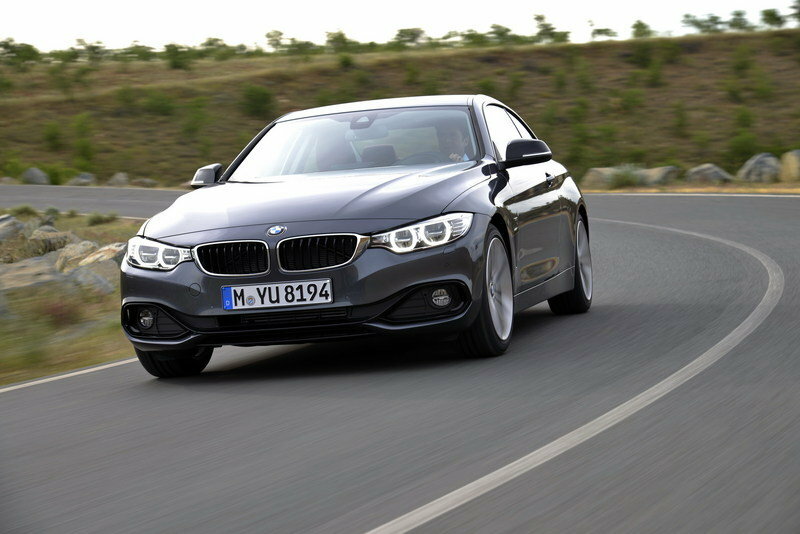 Read more about the BMW 4 Series here. Brand-new for the 2017 model year, the C-Class Coupe debuted at the 2015 Frankfurt Motor Show with new styling and engines borrowed from the sedan. In the U.S., the German coupe will hit showrooms as the C300, with a 2.0-liter four-cylinder sending 240 horsepower and 273 pound-feet to the wheels. At least one more powertrain will be added in the future, not including the turbocharged, 4.0-liter V-8 that injects up to 503 horsepower and 516 pound-feet of twist the high-performance AMG C63 version. Pricing for the base model is expected to start from around $41,000. 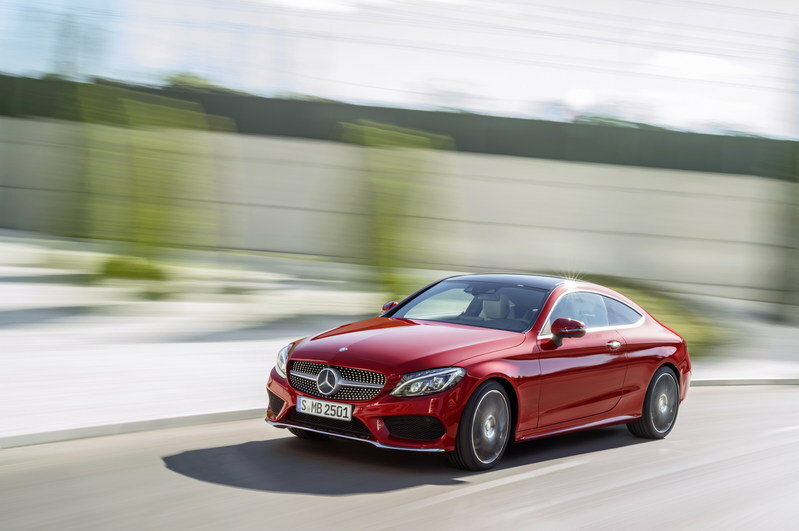 Find out more about the Mercedes-Benz C-Class Coupe here. While the previous Q60 was no match for the BMW 4 Series or even the slightly dated Audi A5, the redesigned Infiniti appears to have a better chance at giving its German competitors a run for their money. The coupe definitely looks better, it’s a lot more powerful, and the new chassis settings should also make it sportier. Sure, it won’t be as nimble as the 4 Series or the brand-new C-Class Coupe, but it shouldn’t fall too far behind. If anything, the Q60 has the means to stand out thanks to its bold design, a feature the current 4 Series can no longer brag about after more than three years on the market. The Infiniti might come with a major issue, though, in the sense that it could be more expensive than the Bimmer and the Merc. And that’s not good. Not when you have an Infiniti badge. Update 07/28/2016: Infiniti has announced pricing and reservation program for the 2017 Q60 Coupe. Check out the Prices section below for all the details. Making its world premiere at the 2016 North American International Auto Show, the new Infiniti Q60 is a premium sports coupe that combines expressive design with exhilarating performance and dynamics. 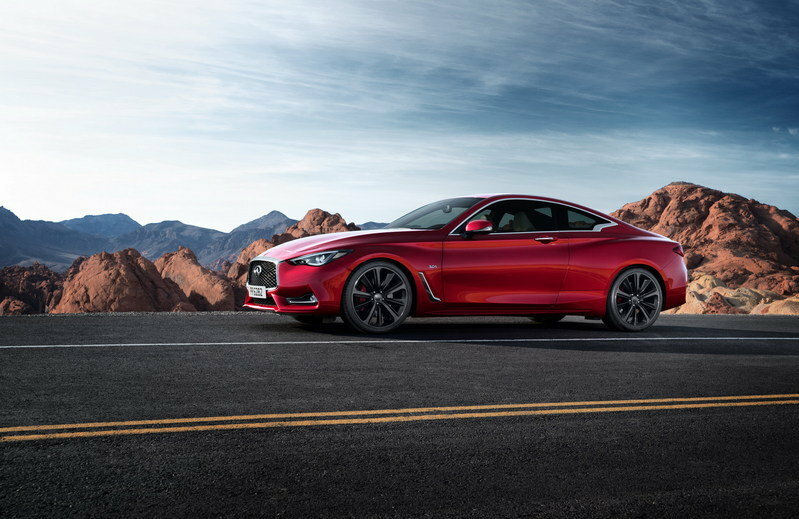 The Q60’s bold exterior – lower and wider than predecessors – expresses a powerful elegance through its daring proportions and taut, muscular lines. Dynamic enhancements, including an all-new lightweight and sophisticated 3.0-liter V6 twin-turbo engine, together with new adaptive steering and digital suspension systems, result in a premium sports coupe designed and engineered to perform. The high performance 3.0-liter V6 twin-turbo engine from the new and exclusive "VR" powertrain family is born out of the brand’s extensive in-house experience of six-cylinder powertrain development. The new engine has been engineered to empower the driver and offer increased power and torque with high levels of efficiency. This new "VR30" engine comes in two power ratings: 300 horsepower or 400 horsepower, with the latter offering one of the best power-to-efficiency ratios in the premium sports coupe class. A four-cylinder 2.0-liter gasoline engine, turbocharged to produce 208 horsepower, is also available in the Q60. 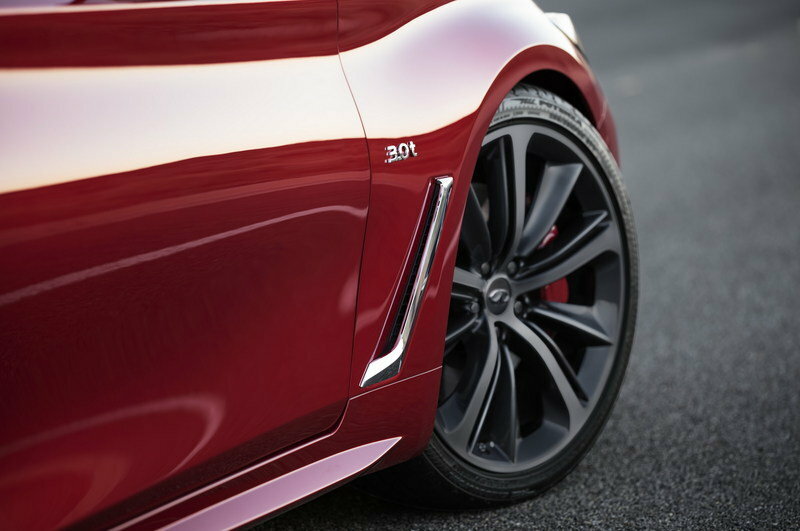 Power is channeled through the Q60’s rear wheels for optimal dynamic response and to benefit steering feel. The available rear-biased Intelligent All-Wheel Drive (AWD) system provides enhanced stability and road holding in low-grip conditions. In addition, Infiniti’s second-generation Direct Adaptive Steering offers high levels of steering feel and feedback, and the Drive Mode Selector gives drivers the option to personalize and tailor the steering’s precise levels of response and feel to suit their own preferences. 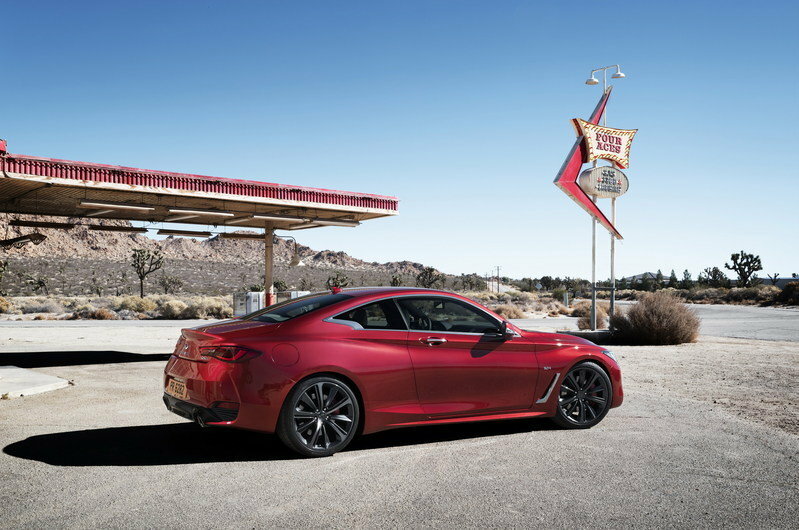 "The Infiniti Q60 conveys a powerful elegance through its daring design, and has the performance credentials to match – thanks to next-generation ride and handling technologies and up to 400 horsepower. The Q60 will affirm Infiniti’s leadership in the premium sports coupe class." 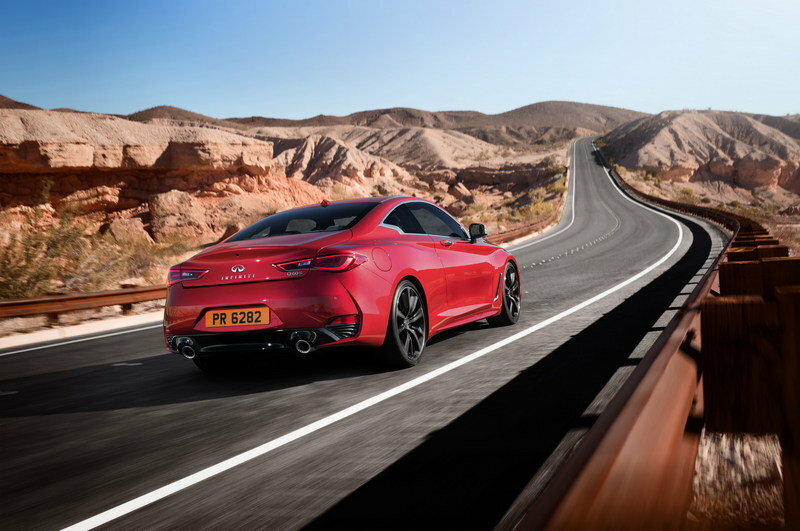 The world premiere of the new Q60 premium sports coupe comes at a time of rapid growth for Infiniti, released in the midst of an intense global launch period. Infiniti sold a record 215,250 new vehicles in 2015, a 16 percent increase over the previous year. 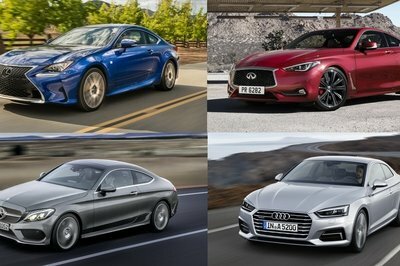 "The new Q60, our third-generation sports coupe, will ensure Infiniti’s position as a leader in the segment. Premium customers around the globe love a sports coupe that offers power, performance and prestige – and the Q60 delivers on all three fronts." The Q60 employs signature Infiniti design cues to communicate dynamism through powerful elegance, representing a daring visual expression of the car’s performance potential. "The design carries an elegance that contrasts and gives tonality to its powerful character, expressed through flexed muscles and tension suggested in the sculpture. 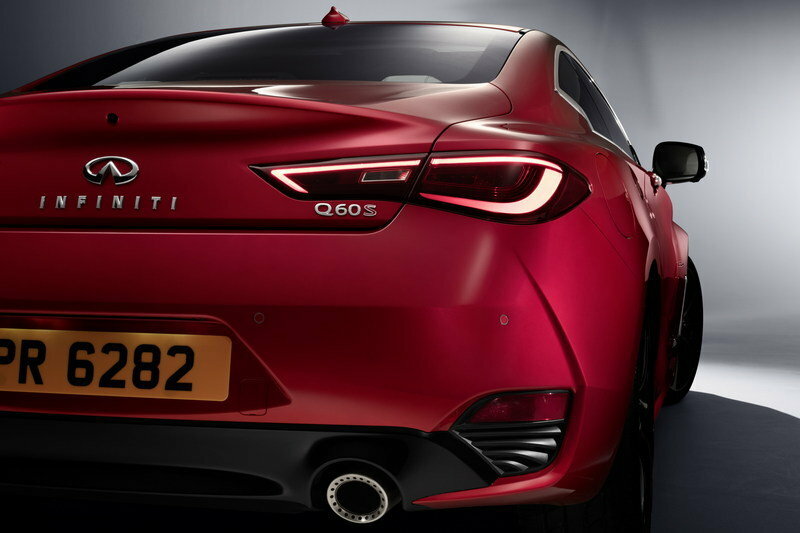 The Q60 surfaces exude a sense of fluid movement." The production version of the Q60 has remained faithful to the concept design thanks to a unique deep-body stamping process that enables Infiniti to maintain the bold lines and sharp angles of the original creative vision. Signature design cues ensure Q60 remains instantly recognizable as an Infiniti model, such as the double-arch grille and the crescent-shaped C-pillars that arc forward and emphasize the car’s "in-motion" appearance. LED headlights, employing Light Guide Technology to spread light evenly on the road ahead, are designed to emulate the shape of the human eyelid, providing an alluring "face" to the car. The deep grille is inset from the body, communicating a strong connection to the twin-turbo V6 engine. Increased exterior dimensions, versus the previous generation, and a striking silhouette emphasize the Q60’s position as a powerful sports coupe. 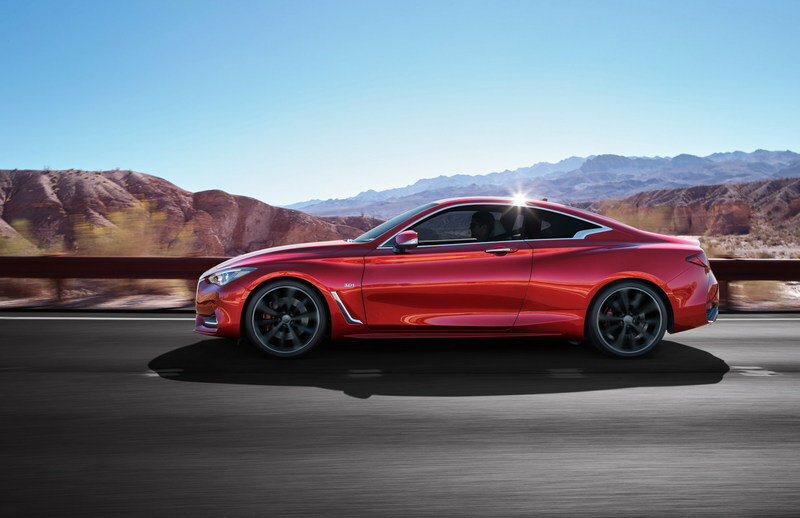 The Q60’s aggressive stance gives a greater impression of stability and in-control driving potential, while its lower center of gravity has a positive overall effect on driving dynamics. The Q60 features newly designed 19-inch aluminum-alloy wheels as standard, and, for the first time on an Infiniti sports coupe, optional 20-inch wheels are also available in some markets, further referencing the Q60’s performance promise. Select Sport models have wider wheels and tires at the rear, contributing to a more aggressive stance while also improving handling with a higher capacity for lateral G-forces. The wheel gaps – the spaces between tires and wheel arches – are tighter than ever, further lowering the visual volume of the car and giving it a low, powerful stance. Aerodynamic efficiency was a major consideration for Infiniti’s design and engineering teams. The Q60’s drag coefficient of 0.28 was made possible, in part, by the car’s new design, intended to keep the vehicle stable at high speeds and in crosswind conditions. Vents in the front fenders direct air out of the engine bay while the Q60’s hood is also shaped to reduce drag. Q60 models with the new V6 engine feature an Active Grille Shutter to balance the engine’s cooling requirements with the desire to enhance aerodynamics. Under normal use, the shutter remains closed, opening when greater performance is required. Relatively narrow door-mounted side mirrors accentuate the Q60’s low stance and sleek coupe looks, and are designed to improve the flow of air down the flanks of the vehicle, while maintaining a wide angle of rear visibility for the driver. "Interior artistry for Infiniti is about a fitted, personal approach. 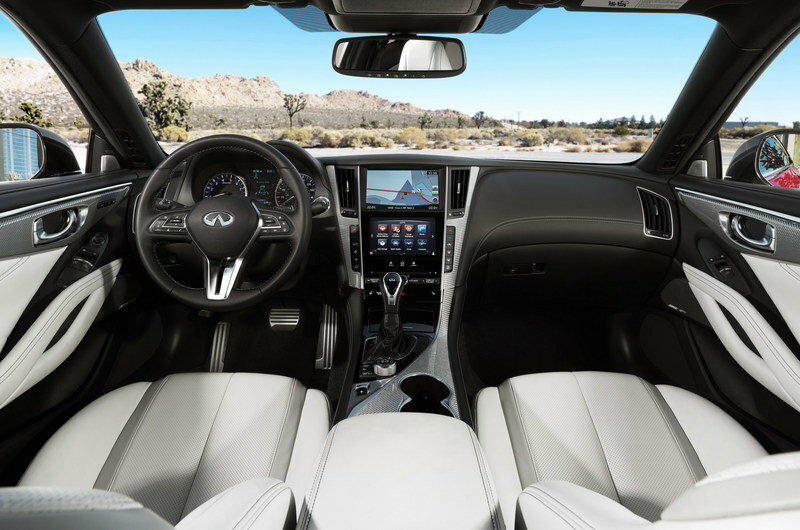 We modeled the Q60’s interior around the concept of a ‘driver’s glove’ – the driver is always comfortable and the cabin is tailored for them." The driver-centric approach continues inside the Q60, with all-new interior trims featuring high-end accents and bold, modern-looking materials. The base model gets aluminum trim, while a black wood option is also available. Sport and Premium models are available with carbon-fiber highlights, while versions with white or red leather seating receive a silver glass fiber accent. High-contrast stitching throughout the cabin increases the premium ambience and feeling of quality in the Q60’s interior. The new range of engines available in the Q60 complements the direct and agile ride and handling characteristics of the premium sports coupe for an exhilarating drive. Three power units are available – and all offer instant power delivery, smooth responses to driver inputs, high performance output, and mechanical efficiency. The all-new 3.0-liter V6 twin-turbo engine, from the new "VR" powertrain family, has been developed to deliver optimal power and torque for an engine of its size, alongside greater fuel efficiency. The high-output version of the V6 delivers 400 horsepower (298 kW, 405 ps) at 6,400 rpm and 350 lb-ft (475 Nm) maximum torque at 1,600-5,200 rpm; while the 300 horsepower (224 kW, 304 ps) version (at 6,400 rpm) produces 295 lb-ft (400 Nm) torque at 1,600-5,200rpm. These outputs have been achieved while delivering efficiency: 23 mpg (U.S.) and 154 g/km CO2 (estimated) for the 300 horsepower version, and 22 mpg (U.S.) and 206 g/km CO2 (estimated) for the 400 horsepower model – with the latter offering one of the best power-to-efficiency ratios in the premium sports coupe class. This power-to-efficiency performance was made possible thanks to a set of newly developed powertrain features, including an advanced new twin-turbo system which enables smooth and immediate responses under acceleration, while aiding efficiency. A four-cylinder turbo-charged 2.0-liter gasoline engine is also available in the Q60, with direct injection for efficiency in all conditions. This engine delivers 208 horsepower (155 kW, 211 ps) at 5,500 rpm and 258 lb-ft (350 Nm) maximum torque at 1,500 rpm. A high-pressure direct injection with piezoelectric injectors delivers fuel to the engine in precise amounts for greater fuel efficiency – 24 mpg (U.S.) and 154 g/km (estimated) CO2. The Q60 sports coupe has been engineered to deliver a truly engaging sports coupe experience as standard, offering a unique balance of ride comfort and agile handling that has become synonymous with the Infiniti brand. Enhancing this position, the Q60 has been fitted with a range of new and innovative driving technologies to deliver empowering performance and a personalized experience behind the wheel. Chief among these is Infiniti’s second-generation Direct Adaptive Steering. Available on models equipped with the 3.0-liter V6 twin-turbo engine, the system has undergone significant re-tuning to enhance steering feel and feedback, while making it possible for the driver to further customize the steering performance according to personal preferences. Direct Adaptive Steering transmits the driver’s input to the wheels faster than a mechanical system while requiring fewer steering corrections. The new system quickly and intelligently communicates feedback about road surface and chassis behavior, while also reducing unwanted steering feel typically generated by a conventional steering system. 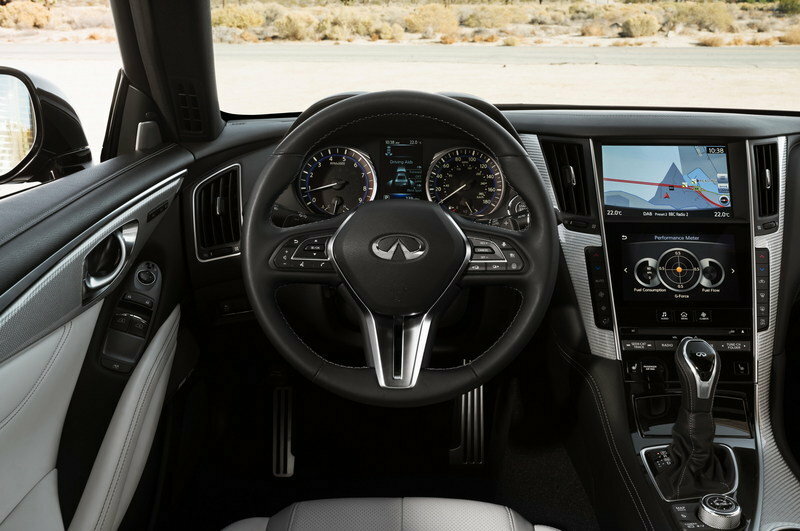 This instills secure and confident steering feel for the Q60 driver, while also reducing fatigue. The wide range of steering customization within Direct Adaptive Steering is accessed through the Drive Mode Selector. Through menus displayed in the upper screen of the Q60’s Infiniti InTuition system, Drive Mode Selector allows the steering response to be selected from six available options: "Customize," "Standard," "Snow," "Eco," "Sport," and – new for certain models – "Sport+." The Standard mode has been tuned to represent the core performance of the Q60 – offering drivers Infiniti’s unique blend of enhanced ride comfort and agile handling as a default setting. Appropriate for the needs of premium coupe drivers, the Customize steering mode also allows for a high degree of fine tuning. Drivers first select one of three core "Modes" (Standard, Sport and Sport+) and then specify their preferred level of "Response" (Default, Dynamic and Dynamic+). For the highest level of assistance and ultimate sports coupe driving experience, the Q60 driver would choose Sport+ mode with Dynamic+ response – making best use of the Direct Adaptive Steering technology. The Sport mode enhances the response of Direct Adaptive Steering, elevating the steering effort required while reducing the required steering movement from lock to lock. In the new Sport+ mode, steering effort remains the same as Sport mode, but the response of the steering is further increased, with an even quicker steering ratio for precise performance. Infiniti Q60 models equipped with the new 3.0-liter V6 twin-turbo engine feature standard Rack Electronic Power Steering. This all-new system provides a linear and in-control driving experience that can be tuned through the Drive Mode Selector. When making a steering input or returning the steering wheel following an input, traditional assisted steering systems can create an unnatural feeling through imprecise control of the power assistance, reducing the feeling of linearity. To counter this, Infiniti’s Rack Electronic Power Steering precisely increases the steering effort required as the vehicle’s yaw rate changes, before adjusting to provide more assistance when the wheel returns towards on-center. The four-cylinder turbo-charged Q60 models are equipped with a speed-sensitive hydraulic electronic rack-and-pinion power steering system as standard. This increases assistance at low speeds and reduces assistance for enhanced feel and response at higher speeds. A choice of two suspension systems allow the driver to tailor a dynamic response from the Q60 that best suits a personal driving style. The standard suspension ensures a low level of road noise and minimal intrusion of unwanted vibrations, while allowing for more direct and linear handling response. Suspension link layouts and bushings have been modified specifically for their application in the Q60, while shock absorbers are relocated for optimized sports coupe ride and handling. An all-new electronic suspension system, Dynamic Digital Suspension, comes standard on the Q60 Sport grades and has been designed to offer best-in-class handling responses and agility, and enhanced ride comfort – thanks to software and hardware upgrades, including a dedicated new set of dampers. Drivers can change the focus of the suspension from a comfort-biased ride to one which offers more dynamic responses, by placing the electronically adjustable shock absorbers in either Sport or Sport+ modes (adjusted via the Drive Mode Selector), providing firmer damping control for more agile handling. While in these modes, the suspension is constantly adjusting to provide ideal performance and a level ride. The Q60’s seven-speed automatic transmission has been engineered with gear ratios spaced to allow for responsive, direct acceleration. Adaptive Shift Control (ASC) uses a lateral acceleration sensor to detect topographical changes in the road, such as hills or corners, and enhances gear selection patterns according to the changing conditions. ASC also allows the transmission to observe driving behaviors and adapt shifts to driver feedback. In Sport mode, drivers can select a more aggressive shift pattern, holding on to gears longer to tap into the engine’s maximum performance reserves at higher revolutions. In all instances, the automatic transmission shifts smoothly, with less performance-focused modes giving the car a more relaxed gait for everyday conditions. 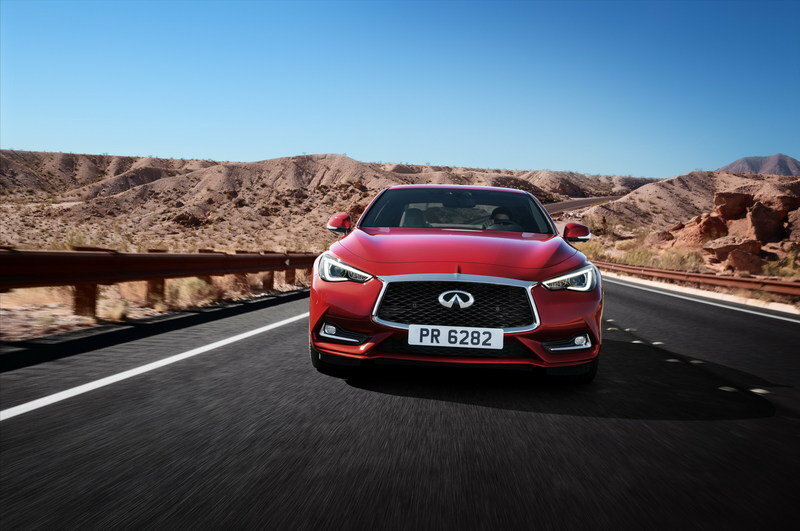 The Q60’s available Intelligent All-Wheel Drive (AWD) system provides enhanced stability for greater road holding in low-grip conditions, distributing torque 50:50 between front and rear wheels in its default setting. If the car detects that the extra traction isn’t immediately required, the system will revert to 100 percent rear-wheel drive, redistributing power to each of the four wheels as conditions change or if it detects a momentary loss of traction. Technological innovation means maximum comfort and convenience levels in the cabin of the Q60 premium sports coupe, providing a refined and contemporary space for driver and passengers alike. Infiniti engineers have ensured Q60’s noise, vibration and harshness (NVH) levels are among the best in the segment. In particular, NVH has been improved with the adoption of greater suspension insulation and stiffer cross-members, as well as wheel spokes designed to dampen vibrations. Active Noise Cancellation is fitted to all Q60 models, effectively preventing negative engine noise frequencies from intruding on the calm of the cabin. Making its world debut in a production vehicle, the Q60 will be fitted with an all-new 13-speaker, Bose® Performance Series sound system, a class-leading audio set-up which has been tailored to the acoustics of the Q60’s cabin. Matched with Q60’s noise cancelling technology, the fully-immersive Bose® audio system transforms the cabin into the driver’s very own audio haven. High-back, highly-bolstered seats accentuate the Q60’s in-control driving experience. The highly ergonomic seats are designed to offer greater thigh, lumbar and lateral support, keeping occupants in place during more enthusiastic driving. Infiniti’s hallmark "spinal support" seats have been carefully engineered to match the curvature of the spine, providing a consistent level of support and minimizing pressure on lower and upper back muscles. The supportive seats reduce the spinal curvature that many traditional seats force occupants to adopt, with a more even alignment between chest and pelvis, while extensive upper body support spreads the occupants’ weight more evenly all the way up the seat. The Q60 comes standard with Infiniti’s InTuition central control system, the latest generation of the company’s advanced infotainment set-up. Upgraded with a faster processor than earlier editions of the technology, InTuition allows occupants to personalize the interior environment of the Q60 according to their preferences, with fully adjustable temperature, seating positions, audio-visual settings, navigation and more. Infiniti’s comprehensive approach to safety is evident throughout the Q60 premium sports coupe, instilling confidence in the driver and their passengers. The active and passive safety technologies include Around View® Monitor, Intelligent Cruise Control with Distance Control Assist, Forward Emergency Braking with pedestrian detection, Lane Departure Prevention, Blind Spot Intervention and Backup Collision Intervention. 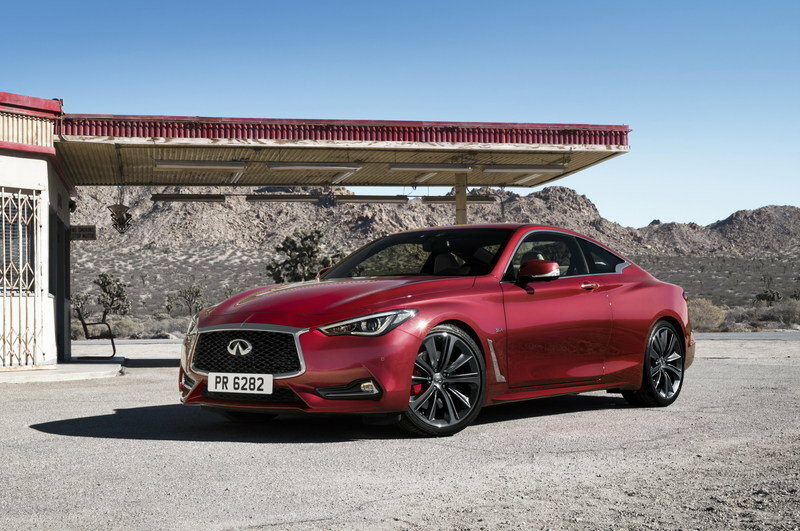 The new Infiniti Q60 sports coupe goes on sale in selected markets later in 2016.